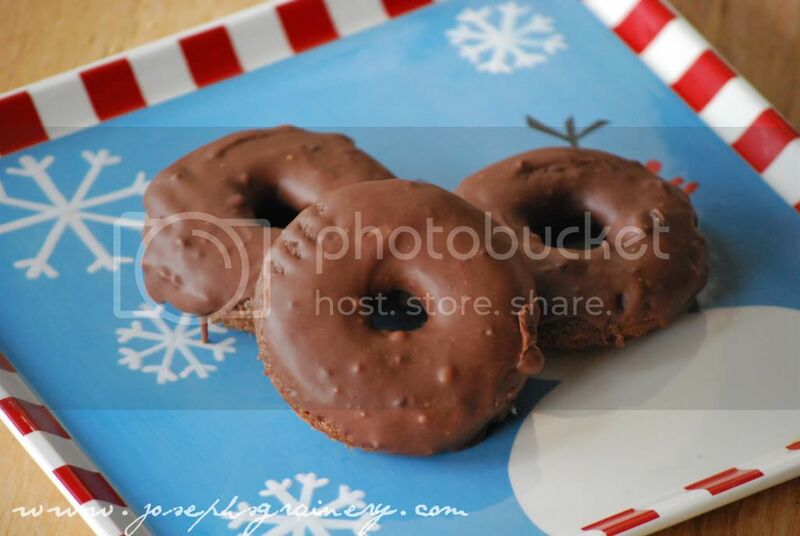 Here's another fun idea for Christmas morning...Whole Wheat Chocolate Donuts! Directions: Lightly grease a doughnut tin and preheat the oven to 350F. Sift the flour, cocoa powder, baking powder and baking soda, and then whisk in the sugar, nutmeg and salt. Add the butter, and using your fingers, rub it into the dry ingredients until it becomes coarse crumbs. In a separate bowl, whisk together the buttermilk, yogurt, vanilla and egg. Add to the flour mixture and stir until just combined. 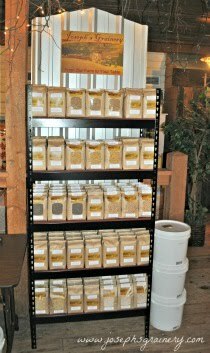 Fill each cup 1/2 to 3/4 full. You can do this with a spoon. It’s important not to overfill, or as the doughnuts rise, you’ll lose the hole. 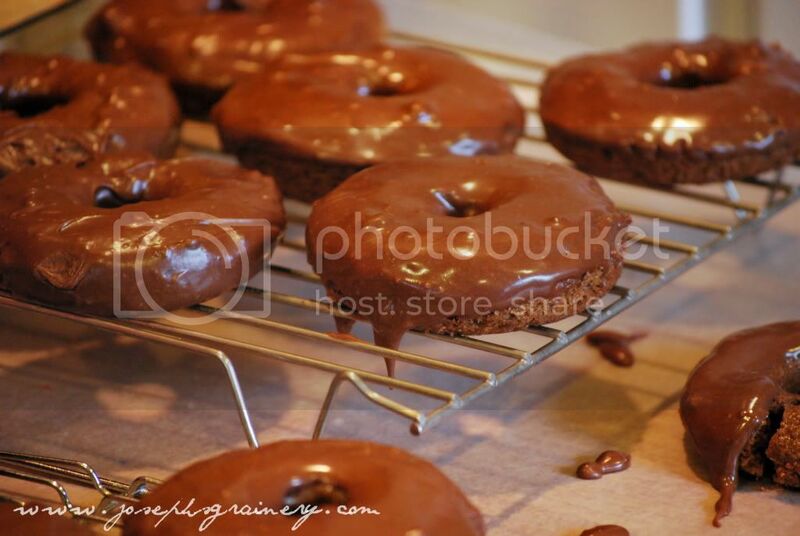 Bake for 6 to 10 minutes (depending on the size of your doughnut pan), until the doughnuts spring back when touched. Let cool slightly on a wire rack before glazing. If coating in powdered sugar, let them cool even a bit more. For the Chocolate Glaze: melt 1 c chocolate chips in the microwave for 30 to 60 seconds, stirring often. Stir in 2 c powdered sugar, 1 Tbsp vanilla and 6 Tbsp milk. Continue to mix until smooth. Spread onto the donuts and let dry. 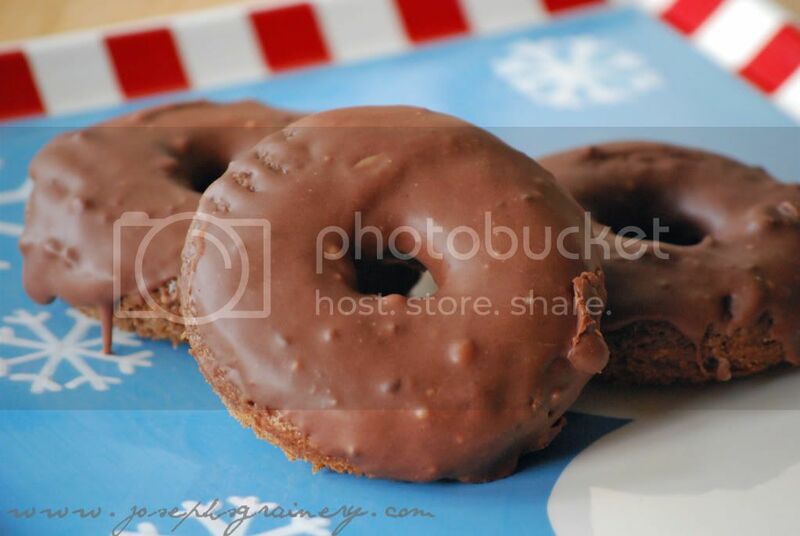 This recipe was adapted from Lara Ferroni's Baked Chocolate Doughnuts.